On Thursday 27th September, in Blood Cancer Awareness Month, Deutsche Bank employees across the UK were invited to donate a day’s salary to its two UK Charities of the Year through the bank’s ‘One Day’ initiative. The day was a huge success with a record £1.27m raised, with Cure Leukaemia receiving half of these funds in total (£100,000 more than the charity raised in an entire year back in 2012). The £635,000 raised will help finance a pioneering Therapy Acceleration Laboratory at the MRC Weatherall Institute of Molecular Medicine, which will drive the development of new approaches to human disease, including personalised blood cancer therapies. 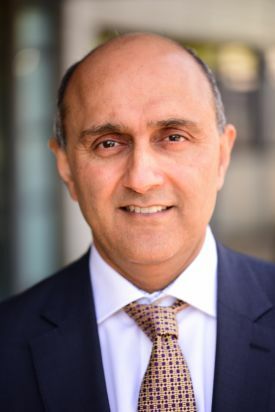 This new facility, led by Professor Paresh Vyas at MRC MHU, will initially apply the very latest scientific and computational analysis to blood cancer samples collected from patients treated through the national clinical trials network led by the Centre for Clinical Haematology at Birmingham’s Queen Elizabeth Hospital. Professor Vyas, Director of the Oxford Centre for Haematology, said: “This is a truly phenomenal example of philanthropy from the staff at Deutsche Bank and on behalf of all the blood cancer patients who will benefit as a result, now and in the future I would like to thank every person who donated. Deutsche Bank’s One Day Initiative involved over 120 volunteers, beneficiaries and celebrity guests, including England Football Manager Gareth Southgate, singer Olly Murs, broadcaster Matt Barbet, ITV News editor Geoff Hill, Aston Villa assistant manager John Terry, former England Rugby captain Will Carling, England Under-21 football manager Aidy Boothroyd, master magician Dynamo, newsreader Sameena Ali Khan, radio presenters Ed James and Gemma Hill and Olympic medallist Katharine Merry visited Deutsche Bank’s offices in Birmingham and London to encourage staff to donate on One Day. Former England, Crystal Palace and Wolves footballer, blood cancer survivor and Cure Leukaemia Patron Geoff Thomas, who invited his former teammate Gareth Southgate to take part in the day, said: “This was a very special day and you could feel the warmth and generosity from Deutsche Bank’s staff as we were walking the floors and what an amazing result!